I attended Sacred Heart College for my seven years of Second Level Education. I sat my GCSE and A-Level examinations. Music and Drama were my favourite subjects and after leaving Sacred Heart College, I continued my education at NWRC studying toward a HND in Performing Arts. 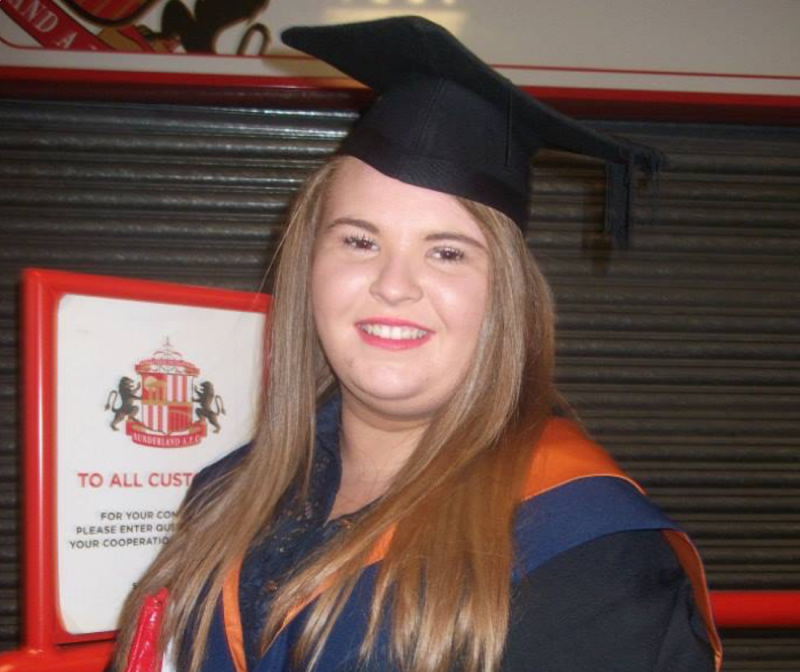 I then progressed on to third and final year in the University of Sunderland where I obtained a BA Hons in Performing Arts. Using the skills I learnt at school allowed me to progress within this field as I was given numerous performance opportunities such as extra work with the BBC and being cast as the Witch in Stephen Sondheims “Into the Woods”, which successfully toured the North East of England. Since my studies ended I have continued to perform in plays and pantomimes in my local area. I have also been given the opportunity to teach groups of children within “Dramatise Youth Theatre”. Following this I am considering applying for my PGCE in Drama so I can continue to share my passion with aspiring performers. Travelling has also played a big part in my life since leaving University as I have recently just returned home after spending four months in America as a Music co-ordinator at a Special Needs Camp. During this time I organised talent shows and performances for the campers which was an extremely rewarding job and it is definitely something I would think about doing again in the future.